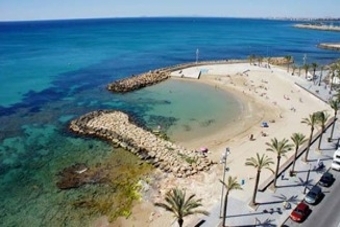 Alicante Airport Transfers to Benidorm, Denia, Calpe and other destinations. If you are looking for low-cost transfers from Alicante Airport in Spain, Euron Transfer has what you need. Or Service is reliable, safe, comfortable, and sure to meet all your demands. 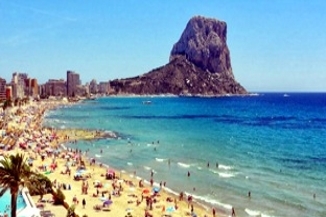 Want to experience visual delight of Costa Blanca in Spain? So make sure to book your transfer with us now! Transfers to Benidorm, Calpe, Denia, Altea, Punta Prima and Torrevieja? We provide you with professional Alicante airport Transfers service to all these spots. Our driver will wait for you at the Terminal Exit and make every effort to reach you to your destinations in safety and comfort. Great service at economic price is what highlights how we serve our customers. We also offer personalized private transfer which is pretty easy to book. We allow you to book our service online at airport-transfer724.com even before you go out on a trip. We will send you an email within 25 minutes with your Travel document to confirm your booking. Our Alicante airport transfer is known to be most economical. Depending on your choice, you can choose transfer vehicle and price starts from € 32 with our Alicante Airport Transfers to Benidorm, Denia and Torrevieja. Start your holiday on a cheerful note to enjoy what relaxation means in truest sense. Trust us to receive you at Alicante Airport and take you to your specified holiday home or hotel. Spain is a beautiful country which is rich in culture and dotted with several sightseeing spots. It has a long sandy beach. The natives in Spain are very much amicable. These are reasons why this European beauty is attracting visits and interest from so many people. Airport-transfer724 is set to provide you with an ideal solution for your Alicante airport transfer. With us, you will not only experience comfort, care, luxury and security during your ride along the direct route to your hotel but will also feel it easy on your pocket. Our private transfer service will reach you directly to your holiday home, resort or hotel, without requiring you to await or put up with other passengers. Our Spanish transfers, apart from being comfortable, are reasonably priced and you can save a lot on your holiday budget. Our transfer service booking requires only a few clicks from your end. It’s a guarantee that you will have everything imaginable and what can make it a relaxed holiday for you. Ours is a door-to-door transfer service and you can pay the driver in cash. Go on “Book Now Online” and reserve your transfer in just 4 steps, you have the possibility to book extras too, like golf luggage, child seats or even a wheelchair or bicycle. After booking, you will receive your travel documents by e-mail within 30 minutes. You are expected directly at the terminal exit with a name board and driven to your hotel, otherwise there are no other guests. You can pay directly to the driver, you can also pay by Paypal if you wish your Crete Heraklion Airport Transfers.